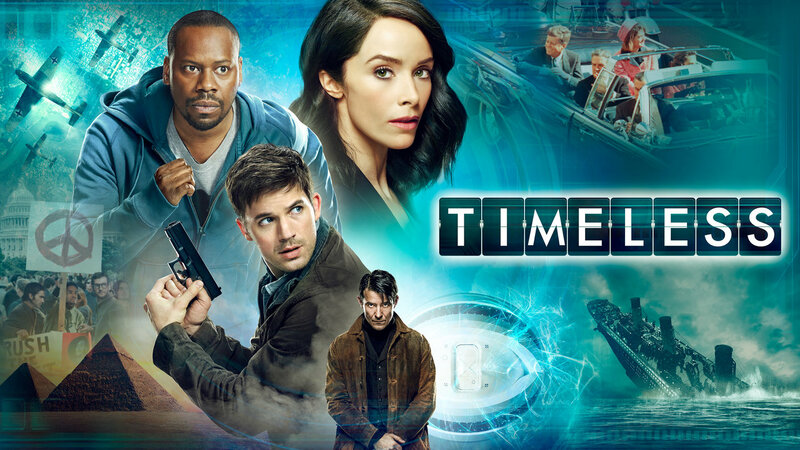 Timeless—a show about a stolen time machine and the historian, soldier, and pilot chosen to travel through American history to stop history as they know it from being destroyed. It sounded like something I’d really like, and so I was extremely disappointed when its pilot episode was, well, not great. However, I decided to review the first two episodes instead of only the pilot, and I’m glad I waited. Even though it doesn’t handle all of its issues well, Timeless has the potential to be a compelling, thought-provoking sci-fi show if it succeeds at building on its current mythology. Minor spoilers below the jump. I didn’t think I’d be so into the 2016 Rio Olympics, but as it was, I ended up watching it for literal hours every day, enchanted by the gymnastics and the diving and the soccer and everything in between. That’s why I ended up seeing a commercial for a new fall show of NBC’s called Timeless countless times per hour. Since I like science fiction, I finally went and looked up some information on the show and found out that it’s co-created by Eric Kripke, who created Supernatural but left before it jumped the shark several times over, and it has a cast including Sakina Jaffrey from Sleepy Hollow. That all means that the show should be good, right? Well… not so much.